A petition on Change.org demanding that Adobe back away from its subscription-only model for its creativity software, including Photoshop, has collected over 4400 signatures by late Thursday. And those thousands of customers were unhappy at Adobe for pushing them toward subscriptions. Very unhappy. Derek Schoffstall of Harrisburg, Penn., a photographer and college student, kicked off the petition Monday after Adobe announced it was halting development on the Creative Suite (CS) applications sold as “perpetual” licenses—traditional licenses that are paid for once, then used as long as the user wants—and would only upgrade its well-known Photoshop, Illustrator and other creativity software when it was licensed via subscription. The new name for the rent-not-own suite: Creative Cloud (CC). CS6, the current version of the boxed software, will be maintained with bug fixes and will continue to be sold at retail and by Adobe directly. But there will be no CS7 or feature additions to those versions. Schoffstall’s petition asked Adobe to reconsider its subscription-only plans, restart development on CS6, and continue to offer perpetual licenses alongside subscriptions. Software-by-subscription can cost more than a perpetual license that’s used for a relatively long time. The perpetual license of CS6 Design and Web Premium Student and Teacher Edition, for example, lists for $599. At the standard $30 per month student and teacher rate for Creative Cloud, a student would end up paying more for a subscription after 20 months, or about two years in college. In other words, if a student buys the perpetual license and uses it for more than 20 months, he or she comes out ahead of a friend who went the subscription route. The tipping point for what Adobe calls an “individual” subscription to Creative Cloud is different: The $50 monthly subscription fee adds up to more than a perpetual license for C6 Design Standard, which lists for $1299, after 26 months. 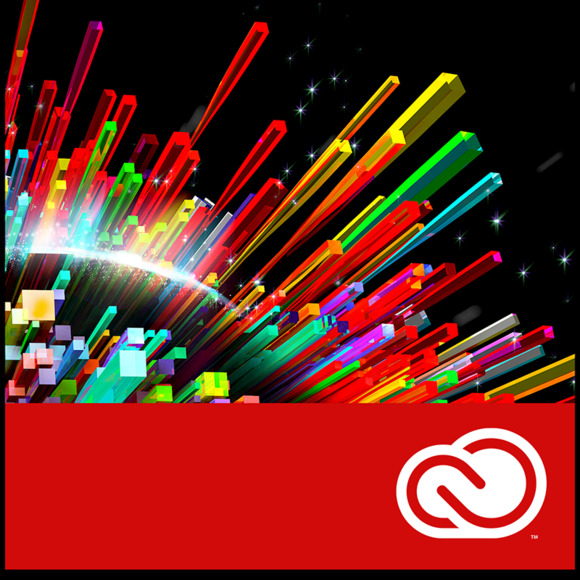 It takes longer for Creative Cloud to exceed the price of CS6 Design and Web Premium, Adobe’s most expensive and most full-featured bundle. At the same $50 monthly fee, an individual could pay Adobe for 38 months—three years and two months—before spending more than the $1899 list price for the perpetual license. “This is disaster for independent freelancers who are already suffering in this economy,” wrote Gay Tammy. Those comments were reminiscent of ones aimed at Microsoft earlier this year when it debuted its own software-by-subscription model, Office 365, for consumers and small businesses. But Microsoft, as it made plain on Tuesday when it took a swipe at Adobe’s decision, has retained perpetual licenses for Office 2013, which runs on Windows, and Office for Mac 2011. Microsoft declined to say when it would move to an all-subscription model for Office, even though Patterson said it was inevitable. Some experts believe it will happen within the next five years. In a talk with Wall Street analysts on Monday, Adobe executives defended the shift. Not surprisingly, one of the most important reasons they gave was the regular revenue generated by subscriptions, eliminating the peaks when major upgrades release, and the valleys in between upgrades. “The move to subscriptions just drives a bigger and bigger and bigger recurring revenue stream,” said Mark Garrett, Adobe’s CFO, during the presentation to analysts. Garrett also claimed that 500,000 customers currently subscribe to Creative Cloud, and has set targets of 1.25 million by the end of 2013 and 4 million by 2015. This story, "Backlash rises against Adobe's subscription-only Creative Suite plan" was originally published by Computerworld.